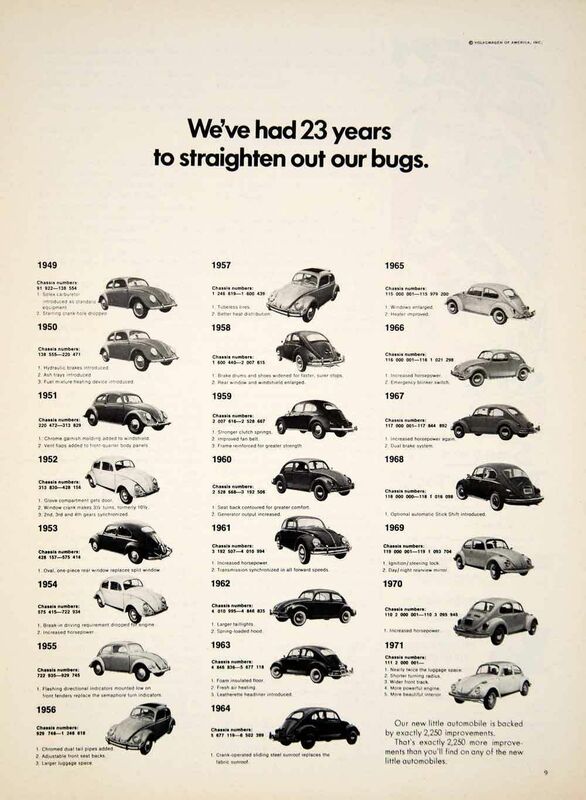 In the time when real-life Don Drapers ruled the advertising world, VW was blazing its own path - both figuratively and literally. 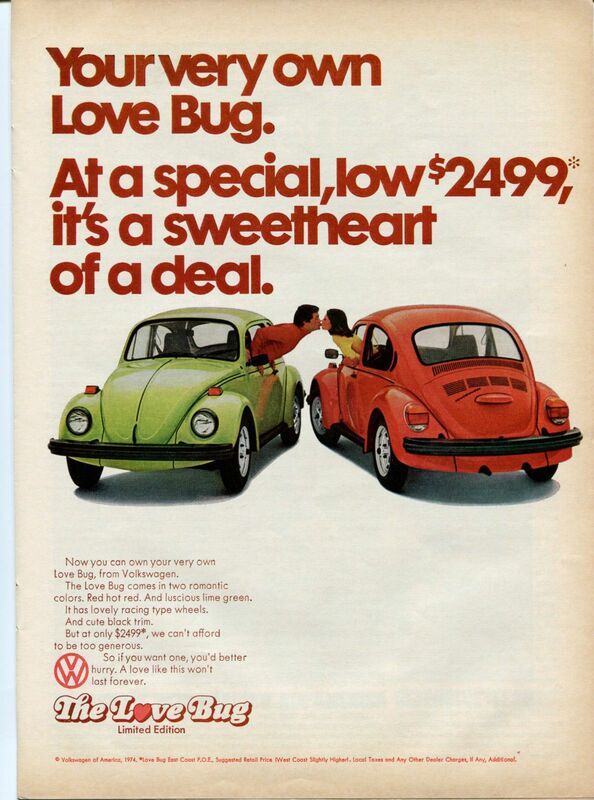 "A love like this won't last forever" - VW, 1974. From our perspective, it certainly seems like all bugs were straightened out. 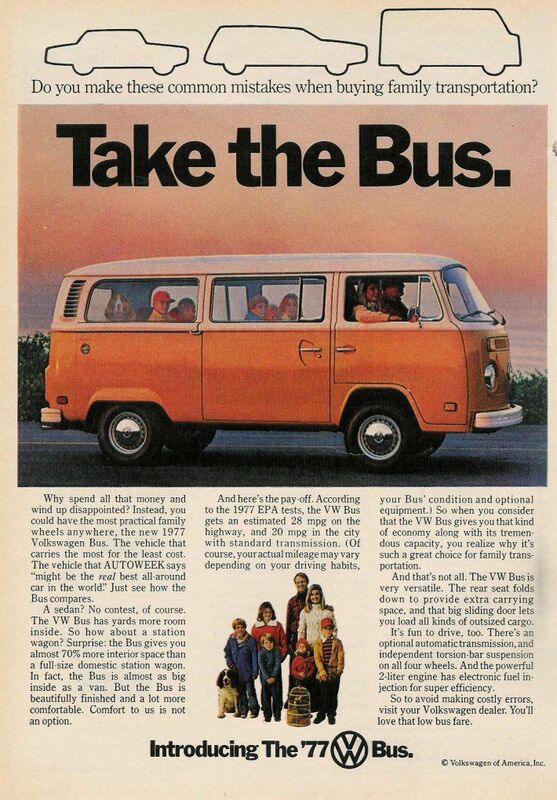 In 1977, AutoWeek said the VW Bus "might be the real best all around car in the world." Well, we can't disagree! If this Fastback is ugly, then we'll take ugly cars all day. That's our kind of puzzle! They do make a good point! Why don't they teach this in schools? "We're not above borrowing a good idea when we see one." Well, it's a strategy that seems to have worked out! 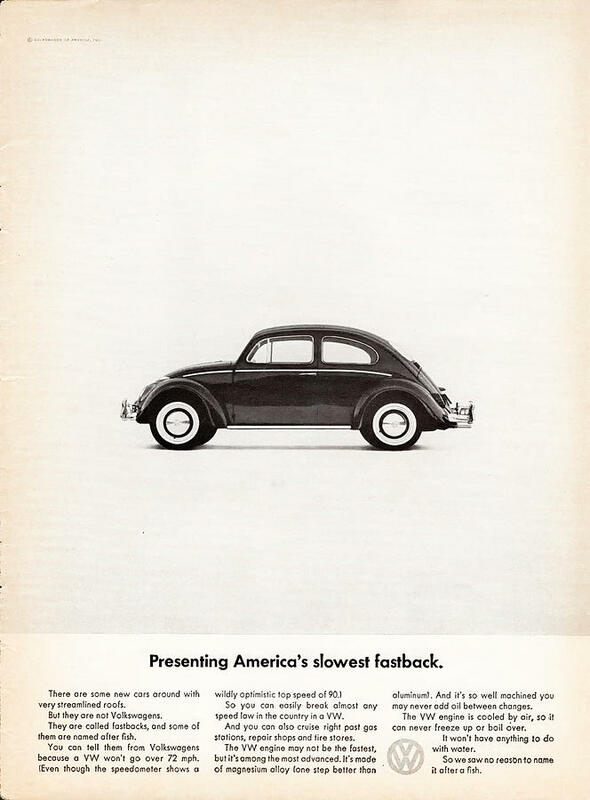 When these self-depreciating ads first came out, they had everyone talking - and a lot of people buying, too. 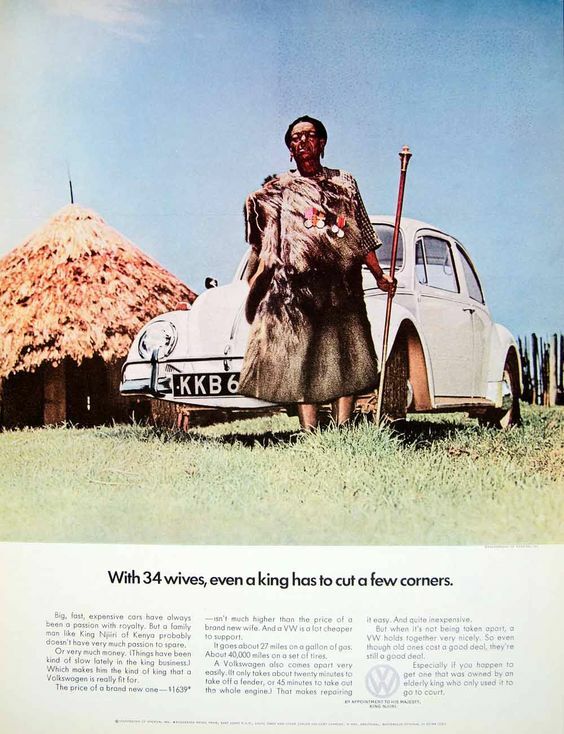 With 34 wives, it might get a little tight in that Beetle when going on family dinners. 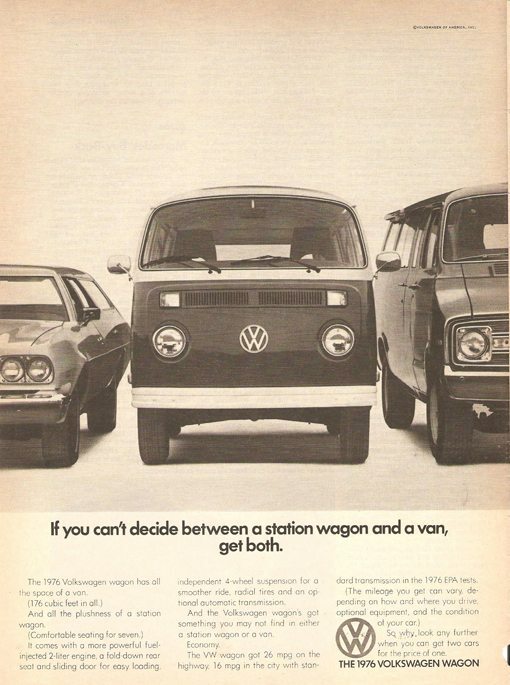 What classic VW ad is your favorite? Tell us on Facebook!